In Talk to the Camera classes and camps, students embrace their on camera personalities, boost self confidence and become more effective communicators as they create their own news broadcasts, talk shows, youtube videos or mini-movies. Do you love working with kids? Do you want flexibility in your work schedule? Do you want to make money in any economy? Do you like to get paid to have fun? Do you like to share your creativity? Do you want to make an impact and provide lifelong skills? Do you want to inspire kids to be awesome? Do you want a turn-key, home based business? Then, Talk to the Camera is your opportunity to THRIVE! We remember the first classes we taught. We were so excited seeing the looks on the kids faces when they watched themselves on television for the first time! Since then we have left every single school filled with joy and laughing in disbelief that we just got paid to do this! Bringing Talk to the Camera to your community will empower you and all the lives around you! Home based business, on YOUR own time! Flexible, part-time hours, full time income. Turn key – Ramp-up and start your business quickly with a low investment. We have meticulously designed each class – Our curriculum is unique and one of a kind. Our innovative business concept is unique among after-school, kid-focused programs. Comprehensive classroom and online training and support system to ensure quality in every market. Local and national integrated marketing strategy that includes branding, digital and social media marketing, and promotions. Marketing programs managed nationally, with intuitive tools, and competitively priced delivery systems. Positive company culture with strong foundational leadership encouraging franchisee success. 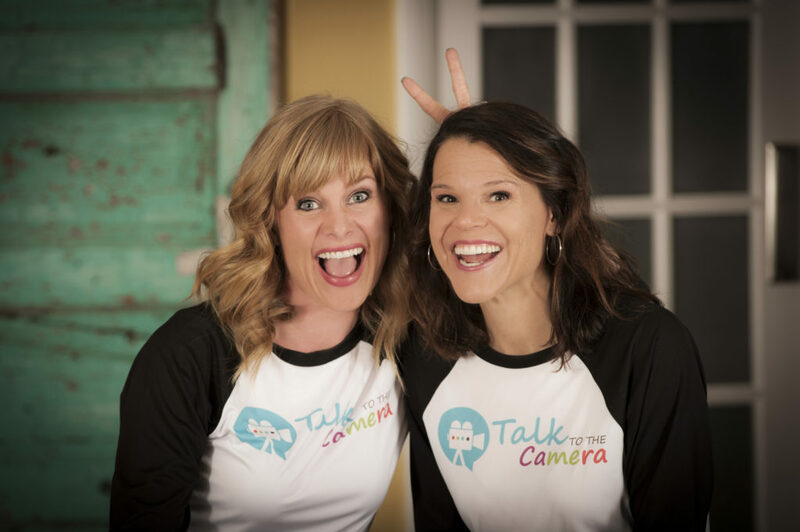 We are proud to offer you this amazing opportunity to join the Talk to the Camera family. We achieve this through a comprehensive training and support program, and innovative systems and tools that make onboarding fun, personalized, and effective! By joining our Talk to the Camera family you will begin your initial franchise training at our Colorado headquarters. We have trained instructors with a wide range of experience with kids, acting and cameras. Ongoing training classes will be hosted throughout the year via live webinars, conference calls, and online classes. Our cloud based business management and communications platform enables our support team to communicate and provide resources in real-time, so our franchise owners can concentrate on building their businesses. We provide marketing and promotional materials, as well as other resources to support you during the sales and acquisition process. We are committed to building a community of thriving franchise owners! As a professional SAG/AFTRA Actress, TV host and former news reporter, Audrey Walters has spent several years entertaining audiences and doing on camera work. She worked for 6 years as a Media Coach at a children’s talent agency. Audrey has a passion for providing amazing experiences to children in a variety of economic and social situations; helping them find their own unique voice and on camera personalities. Audrey shares her love of kids, knowledge of the entertainment industry and her years of experience as a working actor to mentor kids with the acting bug! Kids always ask her if she has ever been on TV. The answer is yes! Most recently in a Netflix movie with Robert Redford and Jane Fonda, and in a recurring role on AMC’s Preacher. Just IMDB this lady for the full list! A Buckley School of Public Speaking certified coach and public educator with several years experience, Jenny Gilbert loves to teach. Working with dedicated professionals on perfecting public speaking techniques and communication skills in the private and corporate sectors was fulfilling for years. However, Jenny’s love of kids brought her back to public schools to share her strengths in helping children communicate with confidence and poise. Jenny’s work has been making a difference in kids lives for years while exploring unique ways of teaching and learning to kids in a variety of situations. Jenny graduated with a Bachelors Degree in Arts and English Writing from University of Colorado and holds a Masters Degree in Education from Regis University in Denver. Watch the Talk to the Camera online franchise overview video. login to access our confidential franchise candidate resource dashboard. Register for our live webinar to learn more about our Talk to the Camera Franchise Growth System. Register for your individual consultation. Obtain approval to attend Discovery Day – Complete Franchise Checklist. Schedule your training and get ready for your grand opening!